I’m still enamored by PlayStation VR and the wonder of immersion. At this point, the honeymoon phase is effectively over, and I haven’t found the sparkle fading. I actually desire to jump back in and play. Sure, it still has its share of quirks to work out, but that’s the exciting part of a watching a new platform grow as creators figure out how to solve these problems. It seems like there’s no shortage of support for the platform, We’re going to have quite a few hands-on impressions of coming VR games from PSX, but I wanted to start with a game near and dear to me: Psychonauts. 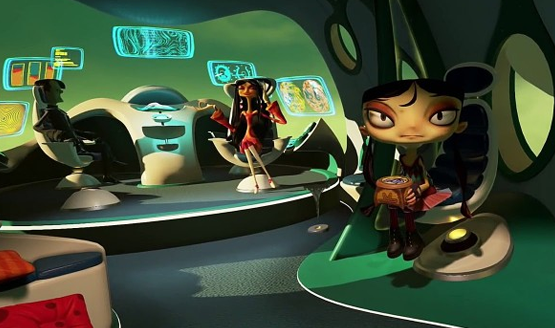 Tim Schafer and the team at Double Fine have been inundated with requests — my own among them — to return to the world of Raz, Lili, and the Psychonauts after the critically acclaimed title released in 2005. While we’ve finally got a full fledged sequel coming down the line, 2017 will treat us to the PlayStation VR exclusive game serving as a bridge between the two releases, but don’t write Psychonauts in the Rhombus of Ruin off as a spinoff or unworthy of the Psychonauts title. It’s shaping up to be an essential, unique, and integral Psychonauts tale that lets players quite literally dive into the mind of Raz and friends. VR’s core tenet is presence and immersion. Starting up the demo I was treated to a view of the world through Raz’s eyes. We were on a plane, and I was listening to his thoughts rattle around in his head (or was Raz’s head my head now? ), but as Psychonauts are wont to do, Raz and I didn’t stay put in one mind. Tapping square allowed me to transfer my consciousness into anything with a brain, notably fan favorite characters all voiced by the original cast. This plane ride felt like a reunion that I had been waiting too long to have. This consciousness hopping mechanic is Double Fine’s way of dealing with the potential for VR sickness by keeping each character stationary, and they’ve done a fantastic job actually using the narrative to explain the mechanic so that it doesn’t feel awkwardly placed. In fact, the mechanic kind of writes itself by the very nature of Psychonauts. The structure is also very becoming of Tim Schafer’s roots doing point and click adventure titles at Lucas Arts. Alternating perspectives allow for a host of puzzles that require hopping to different vantage points and using psychic abilities to manipulate the environment and move the story forward. I lit rolls of toilet paper on fire with pyrokinesis, threw pillows in the faces of my fellow passengers with my mind, and even psy-blasted that squirrel that somehow got himself locked in the plane’s luggage compartment. Throughout it all I was subjected to the silly multilayered humor that Double Fine is so well known for, expertly woven throughout the experience. Psychonauts in the Rhombus of Ruin is quite simply a perfect fit for PlayStation VR. The psychic factor demands the sense of presence that VR can provide, literally putting you in the minds of these characters in a way that no other medium can. The art style looks great, not demanding high fidelity in order to be detailed and immersive. At its core, Rhombus of Ruin marries the latest video game technology with early point-and-click ideals while baking in a healthy dose of Double Fine’s puns and groaners for a Psychonauts experience that will likely prove to be a deep cut PS4 title, exclusive to the PSVR platform, but no less essential that the main console games in the series. 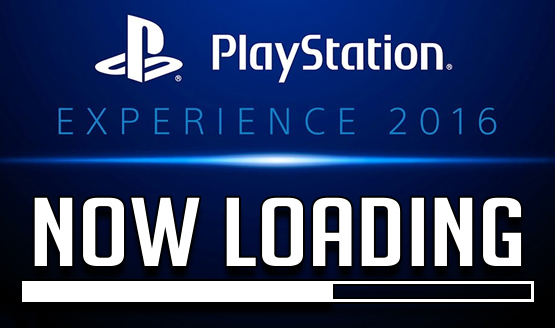 Read the latest PSX 2016 news and hands-on previews on PlayStation LifeStyle.